Health Travel Development Support and Organization Services Association was founded on August 19, 2014 by doctors, bureaucrats, media and health professionals to develop Turkey’s Medical Travel potential with sectoral and inter-sectoral collaborations.The Association aims at being the unifying element between health organizations, hospitals, physicians, intermediary companies and patients by participating in international and national events, congresses and education programs to strengthen Turkey’s medical travel system. Creating strong cooperation between medical tourism sector and academics to improve the scientific aspects of medical tourism practices and supporting to raise quality standards of medical travel services are intended by Health Travel Development Support and Organization Services Association. 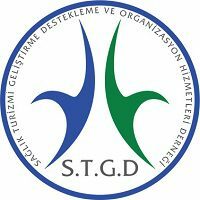 Health Travel Development Support and Organization Services Association also aims for public authority supports and legal arrangements to improve medical travel abilities of all organizations providing services in the field of health tourism by the standards of Turkish Ministry of Health. The Association also provides counseling for all actors of medical travel arena.